It hasn’t exactly been the most auspicious of starts to Bradford City’s pre-season. 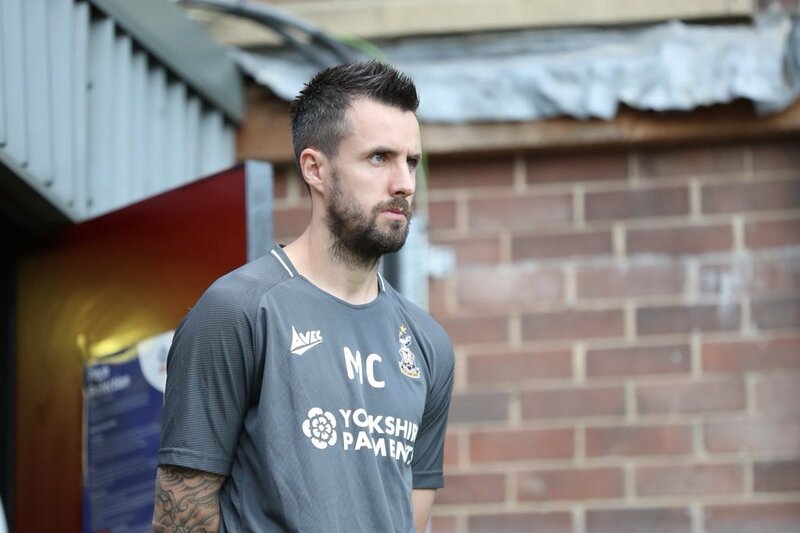 Two flat performances in defeats to York and Guiseley meant that there was added importance to the game against Sheffield United – it was time to step up and show that the team was good enough to compete. And, eventually, they managed it. The first half, however, was a continuation of the previous games’ lethargy, but against higher opposition. City struggled to get to grips with the 3-4-1-2 system that they’d been sent out in, with Adam Chicksen looking uncomfortable on the left of a back three and the whole team too narrow going forwards. The first Sheffield United goal came from a sloppy bit of play from Charlie Wyke and a swift break, with Wyke going off apparently injured shortly afterwards, while the second came from an overload down City’s right – something that happened repeatedly during the first half. It wasn’t exactly a glowing start for new Head Coach Michael Collins. The team looked like they didn’t understand exactly where they were meant to be in the system that they were playing, and some players struggled out of their natural roles. Sheffield United got most joy down City’s right, with left-sided centre back Jack O’Connell rampaging forward untracked. When they tried this on the other side, Sherwin Seedorf tracked Ryan Leonard, but nobody was picking up O’Connell, even after we’d conceded from that side of the pitch. However, his work at half time was impressive – Jordan Gibson on and a switch to 4-4-1-1 meant that City looked much better in the second half and were able to take the game to their opponents. The recruitment at City rightly came in for heavy criticism last season, but they seem to have found a gem in Jack Payne. He was at the heart of everything good that City did during the early stages of the second half, finding space and prompting attacks, and curled a low shot into the bottom corner from just outside the area to reduce the arrears. Sherwin Seedorf also looked sharp and tricky, while Gibson and Tyrell Robinson had their moments. If we can add Sean Scannell then City’s creative options look like a major upgrade on what we had last season. As the second half wore on the team changed beyond all recognition with substitutions, but City kept pushing and found an equaliser with 10 minutes to go – a ball in to Kai Bruenker was flicked around to Gibson who finished from close range. 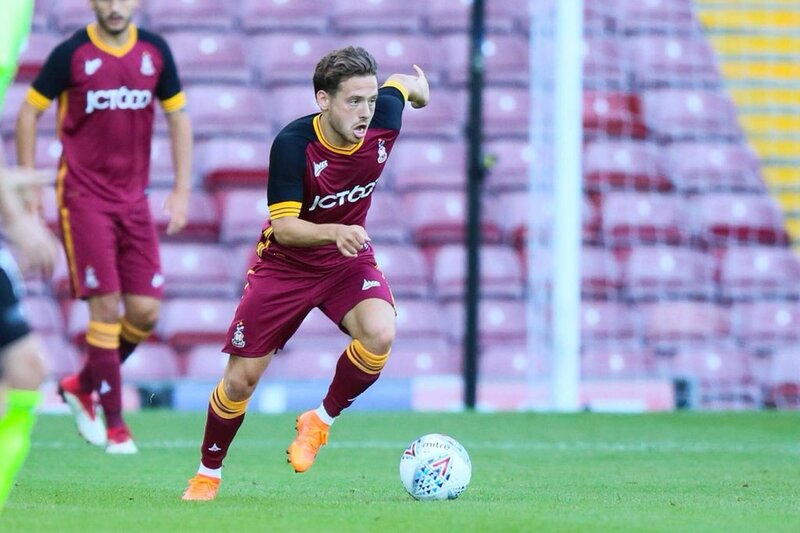 Sadly the Bantams could not hold on to the draw, with a slick passing move from Sheffield United being, inevitably, finished by Billy Sharp, but that didn’t detract from a much-improved second half display. There’s only so much you can learn from a friendly, but it does look like there is some talent in City’s squad. The recruitment appears to be much better so far this summer, particularly with the focus seemingly more on wages than fees, although there is a question mark over the left-back spot with neither Chicksen nor Connor Wood entirely convincing yet. However, the big unknown is the Head Coach. Michael Collins could be the next Pep Guardiola, or he could be the next Peter Taylor – it’s just too early to tell. Also liked Josh Wright, who seemd hard working. Joe Riley also looked efficient. Definitely MUST get another serious goalie in before season start. Jordan Gbs , as ever, loads to learn, ran into trouble…but a joy to watch, and must really aggravate defenders, because he just runs at them. Well, if he turns out to be the next Peter Taylor let us all hope one of his many future promotions is with Bradford City. As to whether he gets a longer spell in charge of the England National Team than PT himself had we will have to wait to and see. Well, if he turns out to be the next Peter Taylor let us all hope one of his many future promotions is with Bradford City. As to whether he gets a longer spell in charge of the England National Team than PT himself had we will have to wait and see.